Yesterday was Memorial Day, the day we remember the service of those who have fought our wars and protect our borders. We sometimes forget there are more than men in the line of fire. Women are now serving in positions where they too are potentially at risk. And, there have always been animals, pigeons, and dogs who have laid down their lives for a cause they cannot understand and they do it for the love of the soldier partner. Today I am asking you to remember in prayer those faithful winged and 4-footed creatures who have willingly give up their lives. Look deeply at the picture and let the colors and image enter your imagination. What feelings does this bring to the surface? What memories or stories? 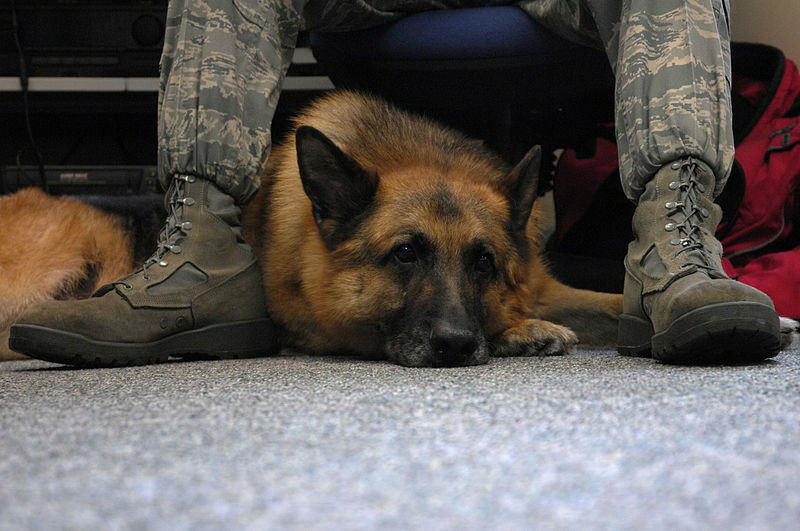 Imagine you are walking are a soldier whose lives and works with this faithful dog, what does that look like and feel like to you. Respond to the image with a prayer for all God’s children who serve in dangerous places on this earth. Offer a prayer of intercession and gratitude for the service men, service women, and service animals who protect us while we sleep.